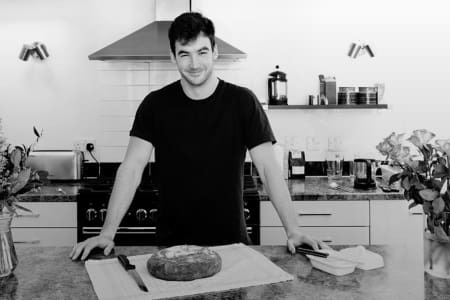 Having received the Tartine cookbook three years ago (crafted by a renowned San Franciscan bakery), Chris' love affair with sourdough was destined to begin. In 2016, he set himself the goal to bake 100 sourdough loaves, all born from their very own starter culture. There were countless failures, flat loaves and lessons learnt, but he had been bitten by the baking bug. Breadmaking goes back millennia: from the ancient Egyptians to the present day. The simple combination of flour, water and salt tells a romantic story and releases a flavour that can only be achieved through this minimalist approach to ingredients. 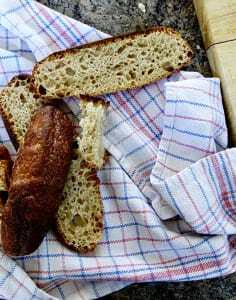 Sourdough is an essential part of human diets, history and lives. Playerbakes is a way of helping people reconnect with bread, the way it’s supposed to be. Had a great time at this workshop - made a loaf of bread and got to take my sourdough starter home. Chris is really knowledgeable and made the class so fun and informative. This was a fun class. I have had no bread-making experience whatsoever and came away with an excellent loaf, and I'm fairly certain that I now have the skills to make bread at home!